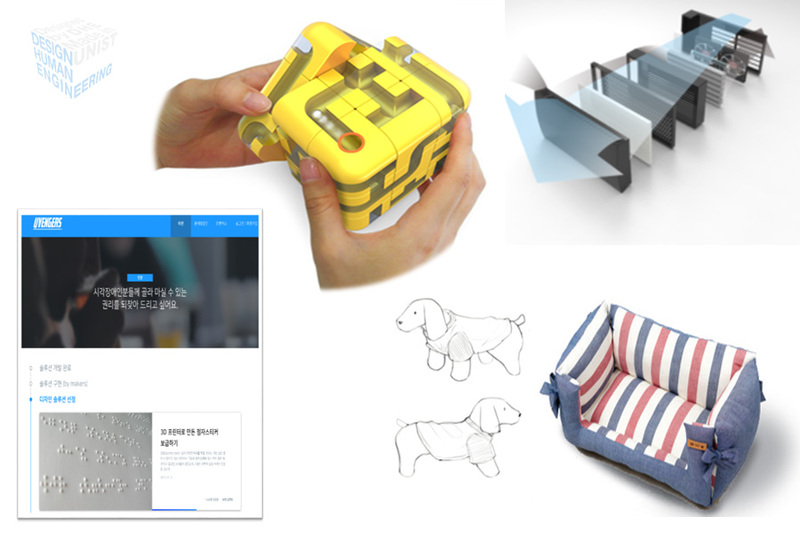 Promising startup ideas that combine technology and design were unveiled at Design Convergence Venture Business School Investment Seminar on December 20, 2017. 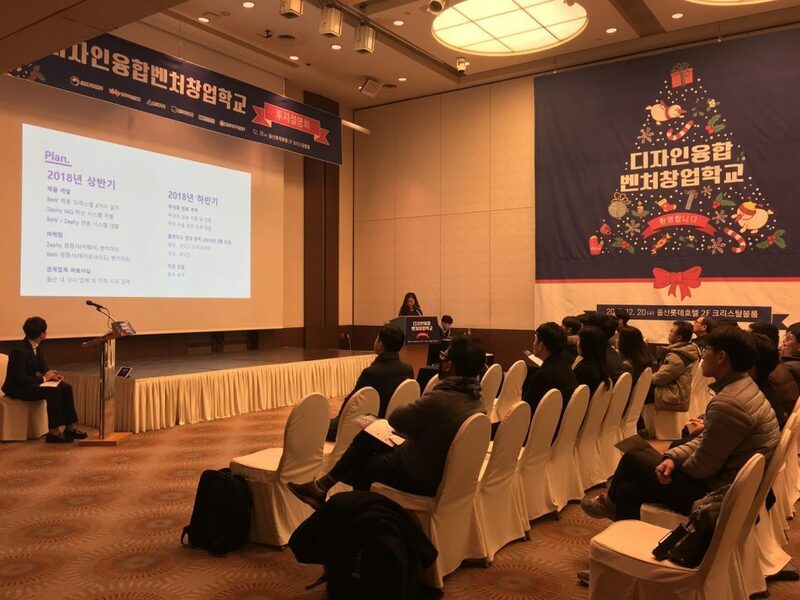 Held in Crystal Ballroom of Lotte Hotel in Ulsan, the event consisted of an investment briefing session and a commencement ceremony for startup academy. It was attended by about 70 audiences, including actual investors. 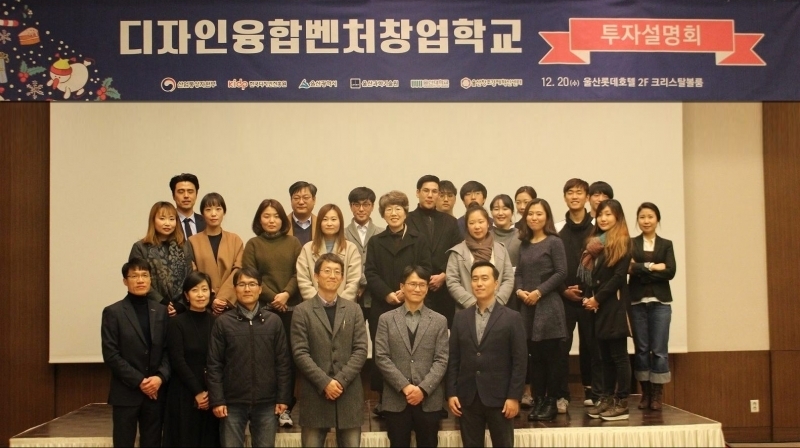 The Design Convergence Venture Business School was initiated by the Ministry of Commerce, Industry and Energy and launched by the Korea Institute of Design Promotion. Among those, Ulsan and Ulsan University Consortium was selected as the host organization of Ulsan and Kyungnam area. The 10 teams participating in the investment seminar were composed of 5 preliminary start-up teams and 5 start-up companies with less than three years of start-up period. There are many UNIST student start-up teams. The four entrepreneurial teams, including Juvenz, Missing People Co., Ltd., Play and Fly, and Lane, entered the investment presentation meeting as an excellent selection team. Lane (CEO Kim, Byeong-gyung, Kim Byung-heon), who manufactures and sells air purifiers attached to windows, unveiled the idea of solving air quality problems by directly purifying the inflow air, unlike conventional air purifiers. Eugens (CEO Kim So-jung) presented a platform project to solve social problems. On this platform, we aim to share ideas with the people around us, and to work together to solve the problems. Play & Fly introduced and sells educational toys, and Sincere People Co., Ltd. is a social enterprise that produces companion animals. 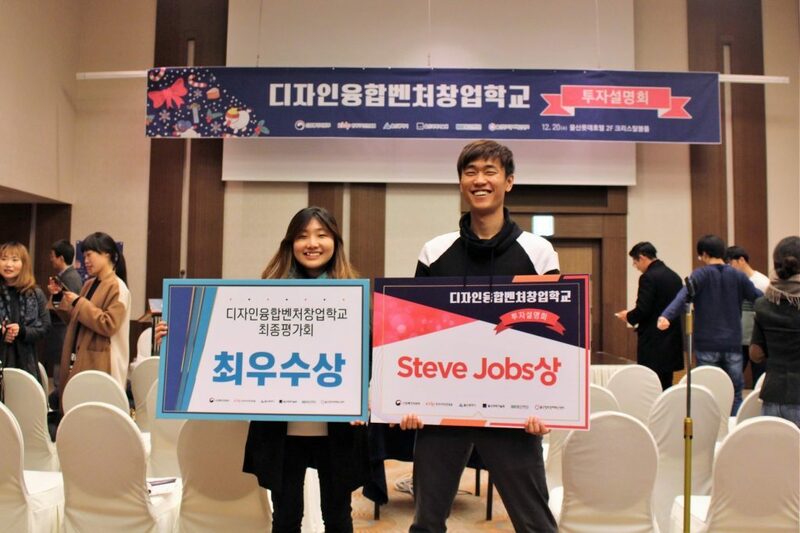 At the awards ceremony, the UNIST student company Play & Fly won the “Best Evaluation Award” and “IR Pitching Award” (Steve Jobs Award) for outstanding performance in presentation and mock investment for attracting investment. Meanwhile, 830 million won has been invested in the project for design-convergence venture business in Ulsan, Kyongnam area, including 730 million won for national government and 100 million won for Ulsan city subsidy. In this project, 40 start-up teams were selected to run a ‘start-up camp’. Ten excellent start-up teams received deep-rooted start-up education through the ‘Start-up Academy’ and received funding for start-up activities such as prototype production costs and acquisition of intellectual property rights. As a result, seven teams made sales and five teams attracted investment.